What Is The Difference Between VG And PG? 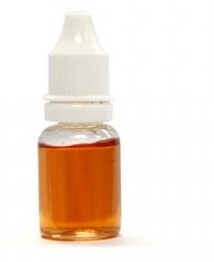 The common ingredient of all electronic cigarette liquid is the base substance, in this case PG, VG or PEG-400. This is the substance that allows the other contents to blend together in order to deliver the benefits of using the e-cig. But what exactly are these base liquids? Propylene Glycol (PG), is an odourless and colourless liquid that is clear and has a faint sweet taste. It is viscous and has a uniform consistency. It can be found in three grades namely; pharmaceutical grade which is the purest, food grade which is a level below pharmaceutical grade, and lastly industrial grade which is used in anti-freeze or de-icing fluids. The pharmaceutical and food grade PG is found in soft drinks, cosmetics and other products for human consumption. What you find in e-liquid is thus no different from what you have been consuming in other household consumables. PG is thinner than VG and gives the better throat hit of the two bases. Because it is thin, atomizers can last relatively longer since little residue gets attached onto the heating element hence wearing it out. The e-liquid gets vaporized more quickly meaning that the atomizer works less so it will last longer. It is for this reason that e-cigs that use tank technology largely use e-liquid that is PG based for optimal results from that delivery system. Vegetable Glycerin (VG) is also colourless and odourless and clear. It is sweeter than PG and also much thicker in consistency. The throat hit from e-liquids that have a VG base is than what one gets from PG, although the VG juices give off a thicker vapour. The thicker consistency of VG brings its own complications. In vaporizing it, a residue is left on the atomizer and this leads to a shorter lifespan for that atomizer. You also need to clean the e-cigarette components more frequently due to the quick build-up of residues from the VG base liquid. In order to have thick vapour while maintaining a strong throat hit, many e-juice makers use a combination of PG and VG in their formulations. Each base brings its strengths while the presence of the other base reduces the impact of the weaknesses inherent in the other. VG is for example very thick and coats atomizers but when combined with PG, this effect is toned down. The proof of the pudding is in the taste, so go out and find your taste!